I've put together a simple RFM22 library based on the sample code at sparkfun and some google-translate assisted reading at http://www.3e-club.ru/view_full.php?id=19&name=rfm22. I've used this with the now-retired RFM22 purchased from http://www.sparkfun.com/products/9581, configured to operate at 434 MHz. The replacement model at http://www.sparkfun.com/products/10153 should work more or less the same, but I won't know for certain until I have burned through my remaining 6 radios. 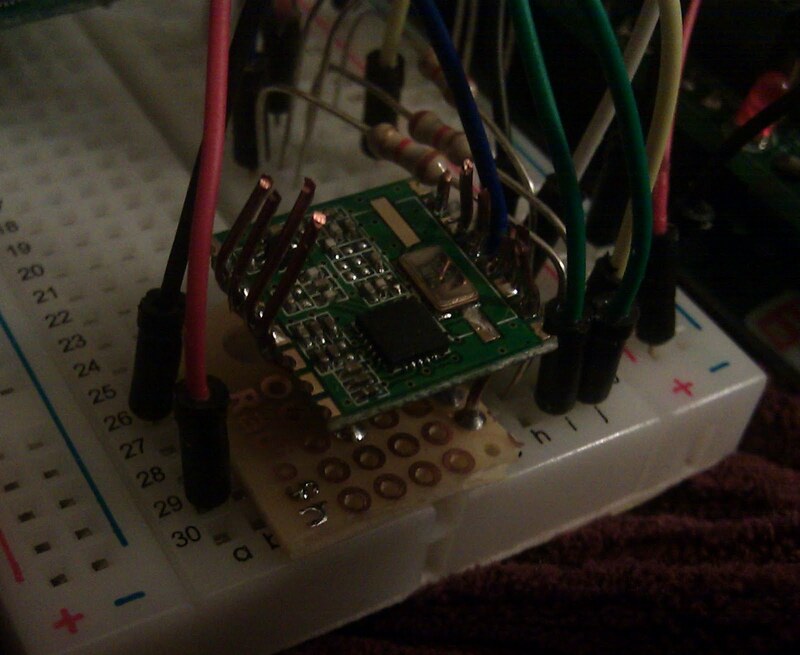 The device operates at 3.3v, as opposed to the 5v that most Arduinos seem to operate at. I used the diagram from http://www.arduino.cc/cgi-bin/yabb2/YaBB.pl?num=1206874649/1 to set up SPI to talk back and forth to the device, operating from the apparently correct assumption that if it works for one SPI 3.3v to 5v system it will work for another. I haven't done anything too serious with this, but with both radios on the same board I can tell one to listen, push data into the FIFO of the second and trigger a TX, and be told by an interrupt that the first has gotten data. Soon I'll have a second avr to run with the second radio from another board, and start playing with how much data I can push back and forth, and from what range. A few tricks I have learned from playing with this: SDN (shutdown) must be dealt with. If you leave it unconnected and 'floating', it will intermittently work and stop working, including allowing corrupt data to flow back and forth to the main board. For several weeks I did battle with a single register on all the radios I had soldered up which would subtract one from the top 4 bits I would write in... Very frustrating. 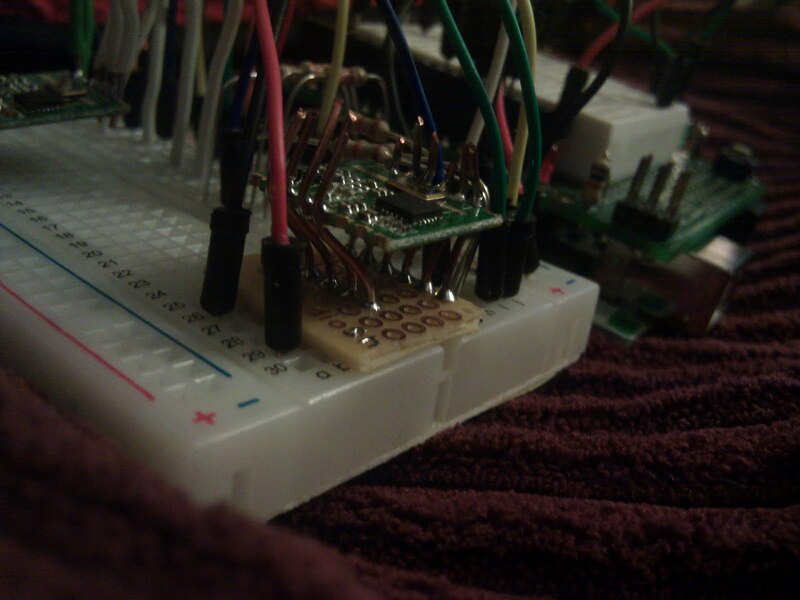 RX_ANT, TX_ANT appear to be unnecessary, making for an easier time of soldering the thing up. Same goes for the GPIO (general purpose I/O) contacts – I am sure some projects can make excellent use of them, but thus far leaving them alone has served me well.